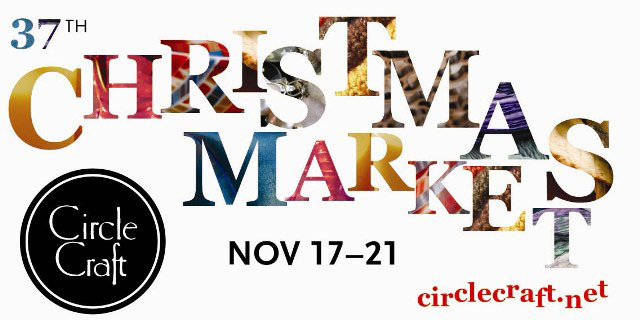 Vancouver Slop teamed up with Circlecraft.net to give away a pair tickets to the 37th Circle Craft Christmas Market happening from November 17 - 21 at the Vancouver Convention Centre (1055 Canada Place). All you have to do is write in the comments section of this post your email address and your favourite Christmas present that you ever received (tell us why if you like). The winner will be randomly selected on Friday Morning (November 19). For those of you who don't win, tickets can be purchased off their website (circlecraft.net) for 12 dollars for adults, 8 dollars for students and seniors and children 12 and under are free. Here is more information about the 37th Christmas Market. This is a great place to buy that one of a kind gift for your loved one or friend. If you are tired of giving a gift certificate come down to the Christmas Market. Saturday 10am to 7pm | Sunday 10am to 5pm. Voltron for my 8th Christmas. It was out of date but massive. Cool, never been but definately wana go. Best gift ever was my Super NES when I was in Grade 3. I still have that thing and all the classic games. the best gift would have to be my very own box set of C.S. Lewis books. Crafting fiend here... I have more yarn than my crafting boxes can contain! And my favorite Christmas gift would be the stuffed Teenage Mutant Ninja Turtle I got as a kid (which I still have)! Hm... best christmas gift would be the handknit scarf and mitten set form my cousin. So soft... so useable. Best gift would probably be the first Harry Potter book about 11 years ago -- changed my life! When I was living overseas my entire family flew out on Christmas day to spend Christmas with me -- that was the best present ever. I'd have to say my Gameboy. It was inseparable from me from the age of 4 to 12. Would love to go. Best present ever was when i was 9 i got tickets to see new kids on the block. (forgive me i was 9) and was freakin excited. Sandwich press. Just made some yummy grill cheese for dinner tonight using this Christmas present. first place would be tickle me elmo and second place is the creepy crawler oven thing. how did i go from a vibrating toy to gooey creatures? fave gift was a ninja turtles table hockey game - woo hoooo!! it was the best b/c the ninja turtles are the best... duhh. My Cabbage Patch Doll when I was 4... I waited desperately for that thing for months and they had to pry it out of my hands at bedtime. It was love at first sight. A trip to a different time zone. At 12 I thought some magical time travel stuff would happen when crossing the line. Turns out the central standard time zone is pretty unexciting. I was 5 years old and my sister and I had opened our Christmas presents . . . or so we thought. Our parents hinted they thought they heard someone (perhaps Santa) downstairs during the night. We raced downstairs and discovered 2 brand new bikes for us next to the fireplace in the basement . Mine was red with a sparkly banana seat. I think I was almost 30 until before i stopped checking the basement every Christmas morning for a surprise!